Over the past several decades, great strides have been made with regards to how we treat and manage various medical conditions in pets, such as arthritis and chronic pain. One such advancement has been the use of the therapeutic laser. This innovative technology uses a high-intensity beam of light to instantly and painlessly target areas of the body that are experiencing pain, have suffered some type of trauma or require healing. 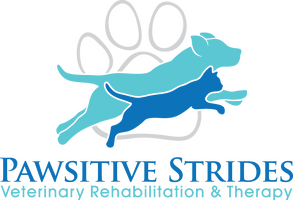 Pawsitive Strides is pleased to offer laser therapy as an additional option for managing your pet’s ongoing good health. 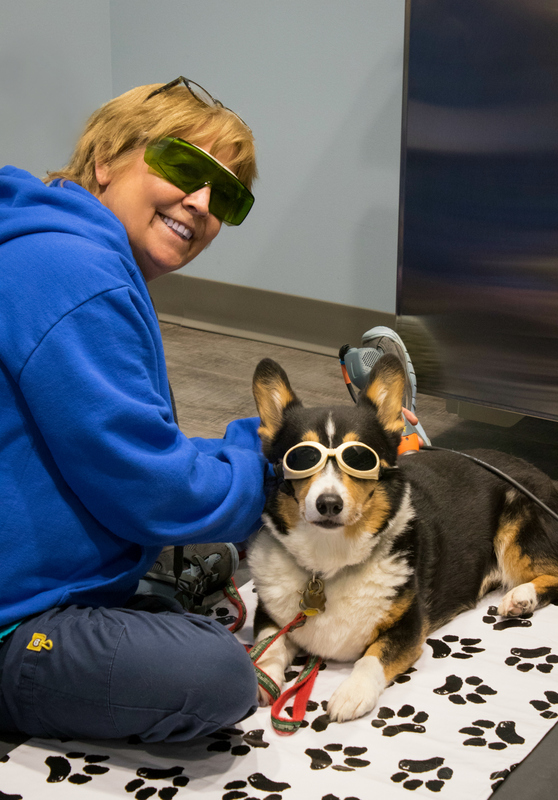 Laser therapy uses light energy to stimulate and affect underlying tissues. There are multiple benefits for a wide variety of patients, which include alleviating pain and inflammation, reducing swelling, stimulating nerve regeneration, improving circulation and repairing tissues; all of which are essential in improving the overall outcome of the rehabilitation process. The treatments are safe, painless and fast. Anti-inflammation: Laser Therapy reduces inflammation with vasodilation, activation of the lymphatic drainage system, and reduction of pro-inflammatory mediators. As a result, inflammation, bruising, and edema are reduced. Analgesic effect: Laser therapy produces a suppression of nociceptors or pain receptors, an increase of stimulation threshold, and an increased release of tissue endorphins. The result is a decreased patient perception of pain. Improved nerve function: Laser therapy accelerates nerve cell regeneration. Enhancement of immune cells to combat pathogens or infections. Quicker wound healing: By stimulating fibroblasts that produce collagen that is important for wound healing.